The rich young man from today’s Gospel (Mark 10:17-27) and I have a lot more in common than I’d like to admit. I’ve always struggled with being a people pleaser, trying to keep the peace or at least not create friction. Similarly, this man faithfully keeps the commandments and has got the basics of faith mastered. At the same time, he is filled with a yearning to go spiritually deeper. Jesus’ response to the man, to sell and give away all he owns, completely confounds him. And yet Jesus is making that same call to you and me. For most of us, this is not a call to literally sell all we possess, but Jesus does ask of us detachment from our stuff. Maybe for some this is material wealth, but perhaps it is our time, our goals and desires, or even a relationship. Earthly treasures can easily become a blockade barring a deeper intimacy with Jesus, a safety net where we try to save ourselves instead of allowing Him to be our Savior. It’s easy to forget, getting into a mindset of how being a good person is enough. But our “good” must be so much more than that. Our own will and choices aren’t where that good is found. Instead, when our life, actions, and treasures all point back to the ultimate good, Jesus, we are in the right spot. 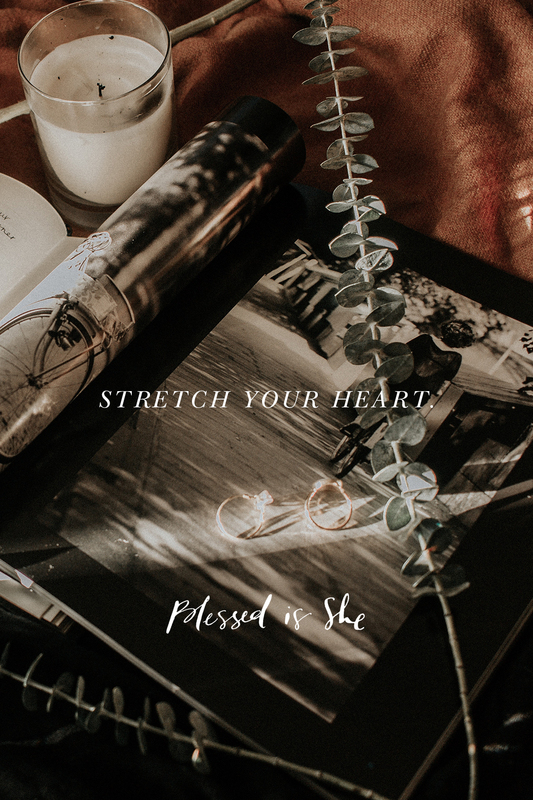 Sisters, how can you you stretch your heart for the treasures of God and His goodness? What things, values, and relationships to we need to redirect or let go of to honor God more fully? With God on our side, nothing is impossible. With God on our side, nothing is impossible. Praying for you today, sisters. Please pray for me as we all work on stretching and letting go!